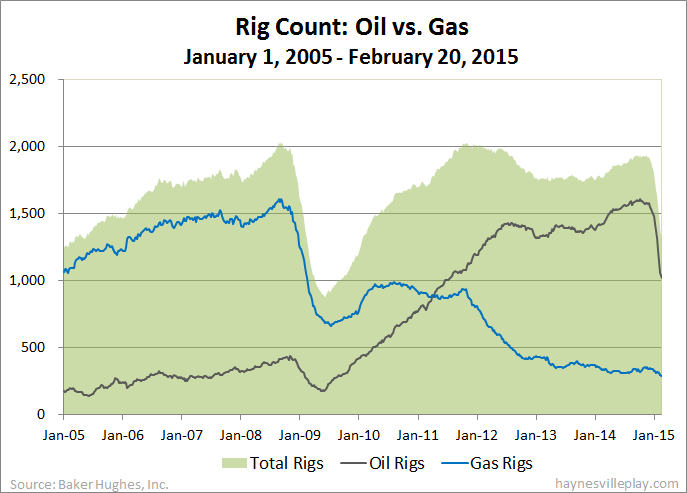 The Baker Hughes U.S. rig count dropped 48 this week to 1,310, the lowest level since January 2010. Oil rigs were down 37 to 1,019, gas rigs were down 11 to 289 and miscellaneous rigs were unchanged at two. By type, horizontal rigs were down 46 to 979, vertical rigs were down seven to 203 and directional rigs were up five to 128. Among gas rigs, horizontal rigs were down 14 to 214, directional rigs were unchanged at 44 and vertical rigs were up three to 31.